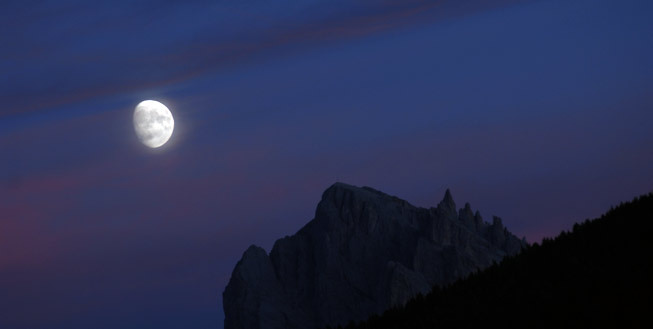 On 27th June 2009 the Dolomites, as one of the most beautiful mountain landscapes on Earth, were officially included in UNESCO’s list of world cultural and natural heritage sites. The Pale Mountains probably also owe this distinction to their – to date – unique geological evolutionary history and in particular to their extraordinary beauty: spectacular, densely concentrated mountain massifs, majestic peaks, crystal clear mountain lakes, lush green meadows and not least the breathtaking play of colours at sunrise and sunset on the Rosengarten. 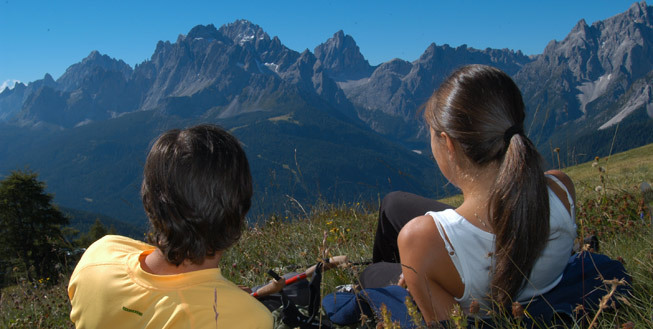 The large number of protected areas and nature reserves, which have been set up by the regional government for the preservation and valorisation of South Tyrol’s unique cultural and scenic value, was also rated especially highly. Strictly speaking there are five of these: Schlern-Rosengarten, Puez-Geisler, Fanes-Sennes-Prags, the Sexten Dolomites and Trudner Horn. After the Aeolian Islands, the Dolomites world natural heritage site is now the second natural heritage site in Italy to be singled out by UNESCO and is therefore one of the 50 most beautiful and valuable landscapes in Europe. The extremely varied and contrast-rich mountain landscape is truly unique: wide-ranging, lush high plateaux alternate with rugged and sometimes bizarre rocky formations, whilst powerful glaciers of perpetual ice blend harmoniously with lush Alpine meadows. 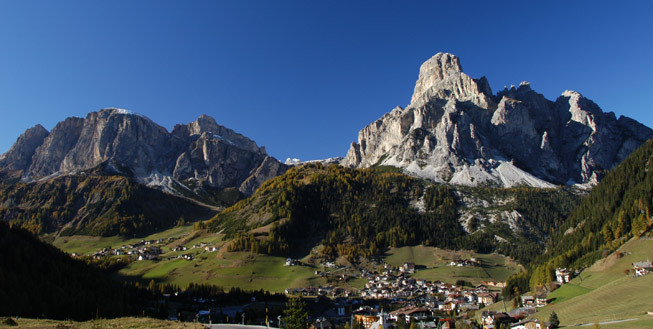 The Dolomites world natural heritage site is a world full of fascinating contrasts, homeland to three different linguistic and cultural peoples, and a highly popular destination for mountain climbers and winter sports lovers - in short a world that is well worth discovering!